NY Trendy Moms: A Smile A Day Keeps The Doctor Away! 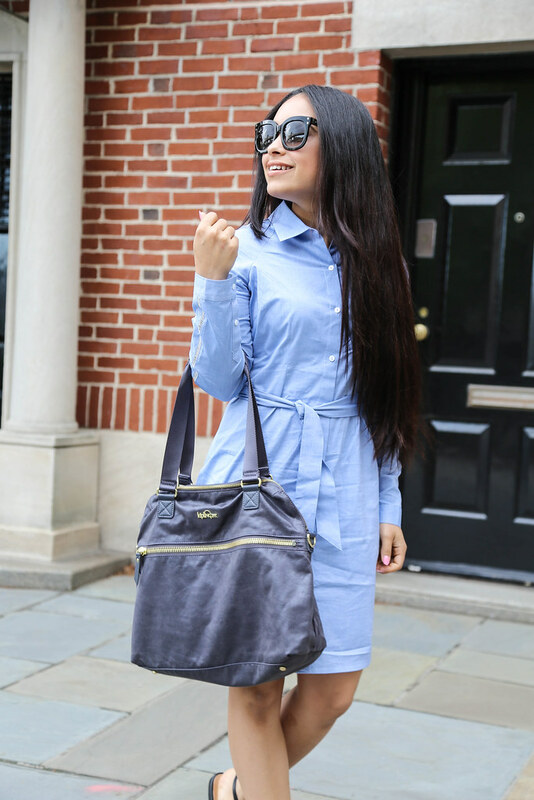 This chambray shirt dress is by NYDJ. It's one of the many items I own because I love the brand so very much. What I love most is that most pieces come with Lift Tuck Technology which basically means a built-in slip. This technology really allows the dress/top to fit perfectly. Not only does it help hold everything but it also allows me to feel comfortable with what I'm wearing. If you don't like the slip you can remove it and even wear it with other pieces. 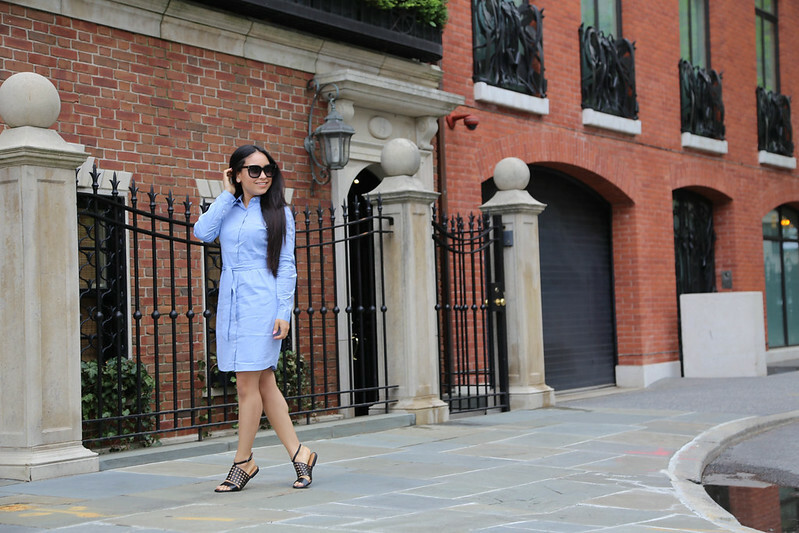 This dress makes me feel like I'm wearing my husbands shirt (you know that amazing feeling!). This piece has a beautiful pattern on the long sleeves that give the dress a unique touch. If you decided to wear this dress on a warmer day, you can roll up the sleeves as it has a button on the mid section of the sleeve. For those who are wondering; in NYDJ sizes I'm a 00. You're supposed to pick out one size smaller. Also, keep an eye out on their website. They always have amazing sales. Hope that helps with your future shopping at NYDJ. These sandals I'm wearing today are by Corso Como. This is a Brazilian brand that designs super comfortable shoes like these black Summa Leather sandals. I love ankle strap sandals because I feel so secure in them and I know they wont fall off when I'm running after my kids. That's one of my biggest nightmares; to walk down the street and one shoe falls off (inserts crying emoji). I feel like with these sandals you get the best of both all worlds! Comfort and security in a beautiful rare design. "Sunglasses makes me look mysterious and really pull out my alter ego" and I love it!! When I wear these shades I become more confident in everything I do. They're magical! Receive a free beach towel with $250+ purchase on HenriBendel.com and in-stores. Offer ends tomorrow June 2nd. 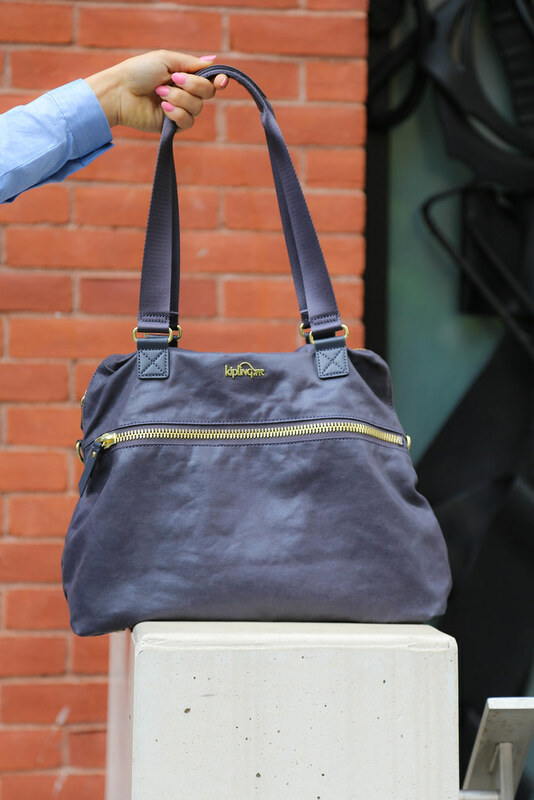 A large bag can be many things but it cannot be as cool as this Jessica handbag by Kipling. 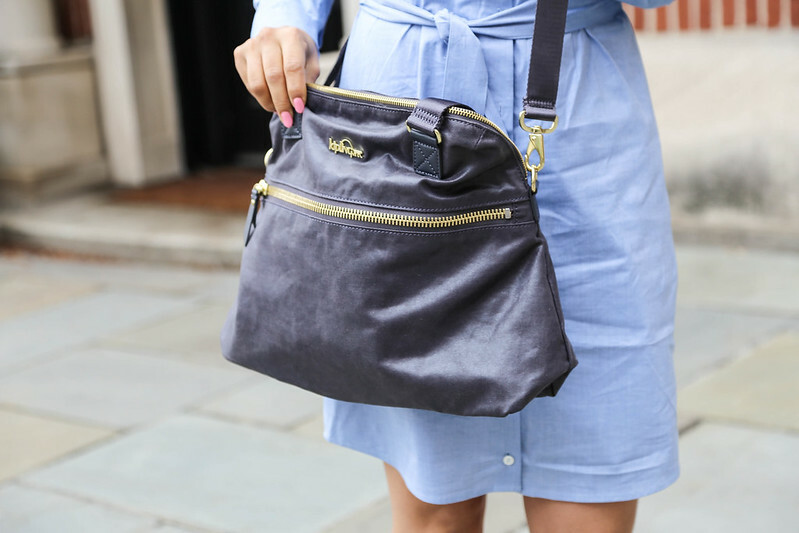 This bag comes in 3 different colors; Sandy Teak, Mink Pink and Metallic Steel (which is the one I have) FYI: it looks black on the website. 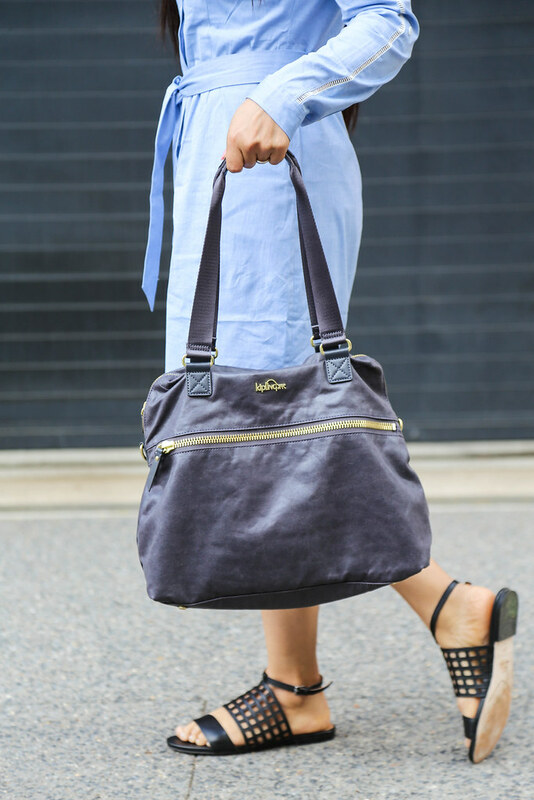 You can wear this bag in endless ways; cross body, over the shoulder, etc. Did I mention how much stuff this bag can fit!!? I'm honestly a sucker for large bags because I cannot leave my house without half of my closest and with this bag I still have room to fit more! I love the zipper on the outside. It's perfect for my phone/wallet and smaller items. I like how I don't have to reach inside the bag to pull out my most used items. On the other side theres a wide pocket which doesn't have a zipper.